Lock in a great price for House Mirjana – rated 8.5 by recent guests! - New facility in a nice rural area. 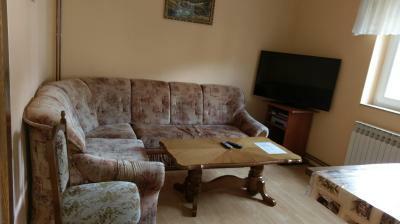 - location, a few minutes from Plitvice Lakes Park's north gate. - Separate bedrooms for the two families in our party. Good location. Clean. Very nice and generous hosts. We rented the 4 bedroom Villa. It was spacious and very nice. When we arrived we had to wait a few minutes to enter the villa as they were finishing the installation of a new air conditioner. We did not mind at all. We actually thought it was great that they were installing the A/C unit. The Villa over all could have been a little bit cleaner, but all in all it was a great place to spend a night. Took 5 minutes to get to the entrance to Plitvice Lakes. The owners were very nice, our daughter was even playing with the children for a little while. We would definitely stay there again! Not sure why my photos are uploading sideways.. sorry! Hosts were amazing!! So friendly and helpful, they made our stay 10 times nicer. 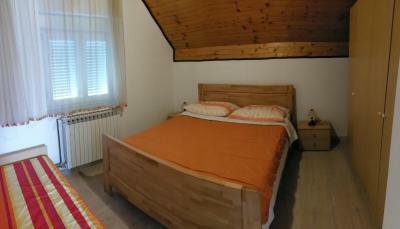 Good location, 7 km from gate 1 of Plitvice lakes national park. Quiet, spacious, clean, Greenery around. Reasonable price for 5 persons. 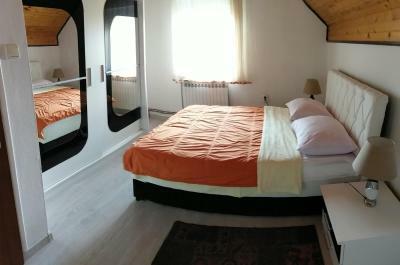 About 50 Euros per night in May 2017. A car is essential. It was a very comfortable apartment with nice hosts who put the heaters on before we arrived. The house was spacious and clean. It fit 9 of us with no problems. Very close to Plitvice lakes. It had good cooking facilities and nice views of the mountains. Would highly recommend, extremely happy with our stay. Very close to entrance Plitvice Lake National Park around 10 mins drive. Friendly host. A car is essential. House Mirjana This rating is a reflection of how the property compares to the industry standard when it comes to price, facilities and services available. It's based on a self-evaluation by the property. Use this rating to help choose your stay! One of our best sellers in Smoljanac! 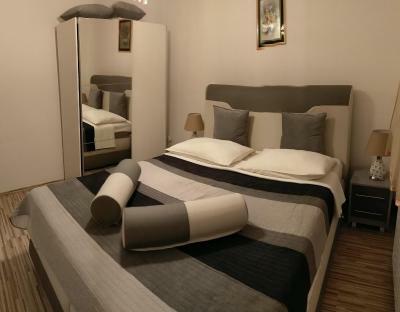 Located a 5-minute drive away from the main entrance to Plitvice Lakes National Park, House Mirjana offers spacious apartments with free Wi-Fi. The house is surrounded by a large garden. All apartments here have a fully equipped kitchen, which includes a refrigerator and cooking utensils. There is a private entrance, a dining area and satellite TV in every apartment. The garden is surrounded by pine trees and includes a children’s play area. Guests can also make free use of the built-in barbecue facilities. 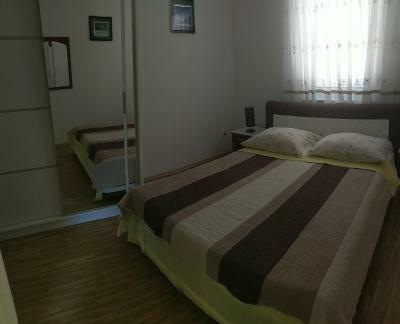 Mirjana House is in the village of Smoljanac, just 0.9 mi off the D1 state road to Split. Korana River is 1,650 feet away. When would you like to stay at House Mirjana? Villa in a quiet area with private parking, basketball facilities and 2 terraces. The villa has 2 bathrooms, one has a bath, the other has a shower. 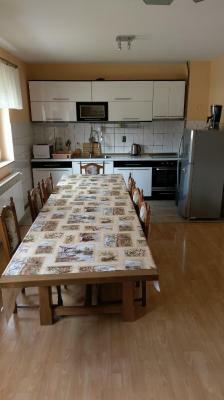 A fully equipped kitchen, a washing machine and satellite TV are featured. Please note that 3 extra beds are available in this unit. 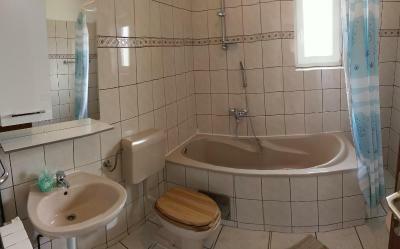 Apartment with 2 bedrooms, a private entrance, a terrace and a private bathroom with a shower. The kitchen comes with a microwave and a dining area. Please note that only 1 extra bed is available in this unit. Ground-floor apartment featuring a private entrance, a kitchenette, a private bathroom and a TV. The apartment has a bedroom with a double bed and a living room with a sofa bed that sleeps two people. This apartment has a balcony, barbecue and dining area. Our accommodation is situated in quite area where you can have excellent vacation.This is perfect place for children because of huge garden. Our guests can enjoy in beautiful scenery.Plitvice lakes National park are only 5km far away. House Rules House Mirjana takes special requests – add in the next step! We couldn’t find a hairdryer and the wifi didn’t work. We could have asked the hosts but it was raining heavily and we didn’t want to go out in the wet. I recommend bringing food to cook in the apartment. Booking.com said to pay in the local currency and we were asked for Euro's when we got there. I did not understand this and none of us at that point had any Euro's with us and only Kuna. So I paid with card and was charged in Kuna. Did not understand this. Otherwise no complaints. - When we arrived in the evening we asked for breakfast (available for a fee per their website), as we were planning to be at the park early to avoid long lines and hot weather. Next morning, we waited for 30 min in the front yard before learning that they forgot about it and there'll be no breakfast. We had to look for a restaurant in the area. We lost at least an hour in the process, so when we got to the park there was already a huge line that took us another hour. As a result, our park tour was during the peak of the heat. - A single A/C unit in the hallway that hardly supplies any cold air to the bedrooms where it's needed the most. 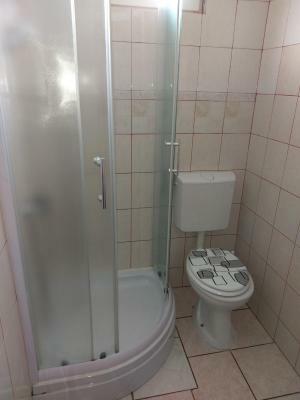 - Bathroom is undersized for a 2-bedroom appartment. Very close to entrance Plitivice Lake National Park 5 mins drive and 10mins drive to supermarket. Host is friendly and responsive. The house is kid friendly with swing in backyard. Great staff and friendly, excellent customer service. Not clean! Considering the area I knew I will pay quite high for a simple apartment. But this was not clean and this is not acceptable. The bin was full of the garbage of the previous family, the overal rooms are not so clean, the plates sound not clean as well. Good location, prefect amenities and clean.